COLORADO SPRINGS, Colo. — As part of the Time to Tri™ initiative, USA Triathlon and IRONMAN® are hosting three-minute triathlons at Rock ‘n’ Roll Marathon Series® expos across the country. The mini-triathlon experience, paired with free training resources and exclusive first-timer offers, helps Time to Tri reach single-sport athletes who may consider a triathlon as their next racing goal. Launched by USA Triathlon and IRONMAN in January, Time to Tri is an industry-wide initiative to recruit 100,000 new triathlon participants by the end of 2020. Through its online hub at mytimetotri.com, the initiative supports new triathletes with free training plans, training and racing advice, motivational tools and other resources. In addition to the online platform, USA Triathlon and IRONMAN are engaging in proactive outreach to identify new and aspiring triathletes with the running community as a primary target audience. At each expo stop, visitors will take part in a three-minute mini-triathlon featuring one minute of dryland “swimming” on a specialized trainer, one minute of cycling on a stationary spin bike and one minute of running on a treadmill. When the three minutes are up, participants receive a Time to Tri-branded finishers’ medal. While at the expo, visitors will be able to locate triathlon clubs in their area, swimming pools and other resources to get started in triathlons. Already this year, Time to Tri has had a presence at pre-race Health & Fitness Expos for Rock ‘n’ Roll Marathon Series races in Nashville, San Diego, Seattle, Chicago, Virginia Beach, Philadelphia, San Jose, Denver and Los Angeles. The next stop will be the Rock ‘n’ Roll® Savannah Marathon and Half Marathon from Nov. 3-4 in Georgia, followed by two more Rock ‘n’ Roll Marathon Series events to close out the 2018 season. In addition to the mini-triathlon, expo visitors will take a tour of the training and racing resources at mytimetotri.com. They will be invited to self-select their skill levels in the swim, bike and run to receive a free, customized sprint triathlon training plan and address any concerns or misconceptions about the sport of triathlon. 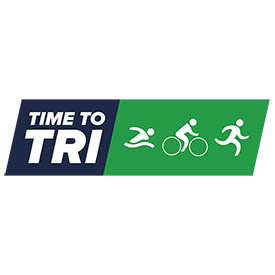 For more information about Time to Tri, including a pledge form for industry leaders, beginner-friendly resources and free training plans, visit mytimetotri.com. April 28 — Nashville, Tenn.
June 3 — San Diego, Calif.
June 10 — Seattle, Wash.
July 22 — Chicago, Ill.
Sept. 2 — Virginia Beach, Va.
Sept. 16 — Philadelphia, Penn. Oct. 7 — San Jose, Calif.
Oct. 21 — Denver, Colo.
Oct. 28 — Los Angeles, Calif.
Nov. 4 — Savannah, Ga.
Nov. 11 — Las Vegas, Nev.
Dec. 2 — San Antonio, Tex.